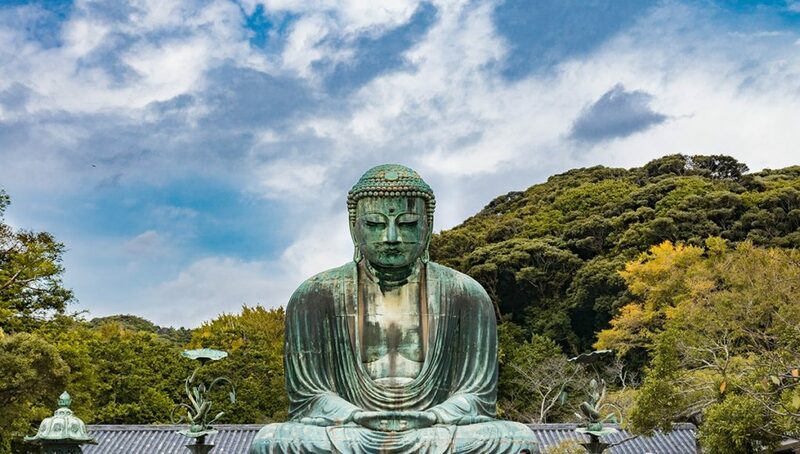 A detailed list of the best tourist attractions and things to do in Kamakura on a day trip from Tokyo. 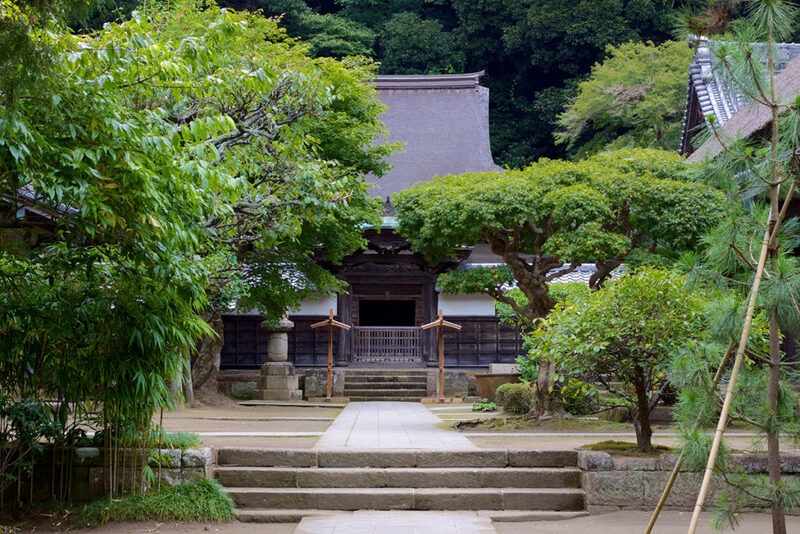 Few places are entrenched deeper in Japan’s history than Kamakura. The small coastal town only 50 kilometers away from Tokyo was the center of all power during the 12th century. It was here, the military order that would later be known among western scholars as the ‘Shogunate’ was first established. So, you really could call it the birthplace of the Samurai. Kōtoku-in (高徳院) is a famous Buddhist temple of the Japanese Jōdo-shū sect and probably the main reason most people are visiting Kamakura. Here, you will find the Dabutsu (大仏) – the great Buddha of Kamakura. 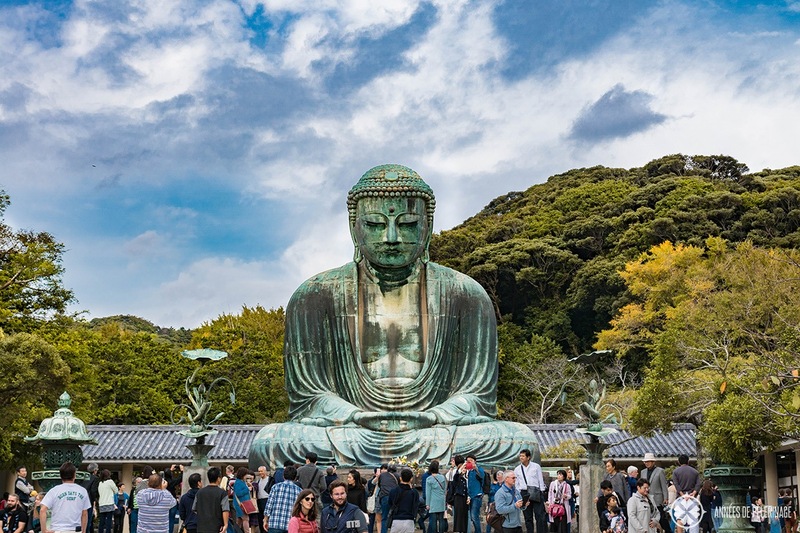 Built in 1252 A.D., the huge bronze statue of 13.35 meters weights approximately 121 tons and is one of the most stunning artworks from the Kamakura period. There is little else to see inside Kōtoku-in, but obviously, the Great Buddha is more than enough. 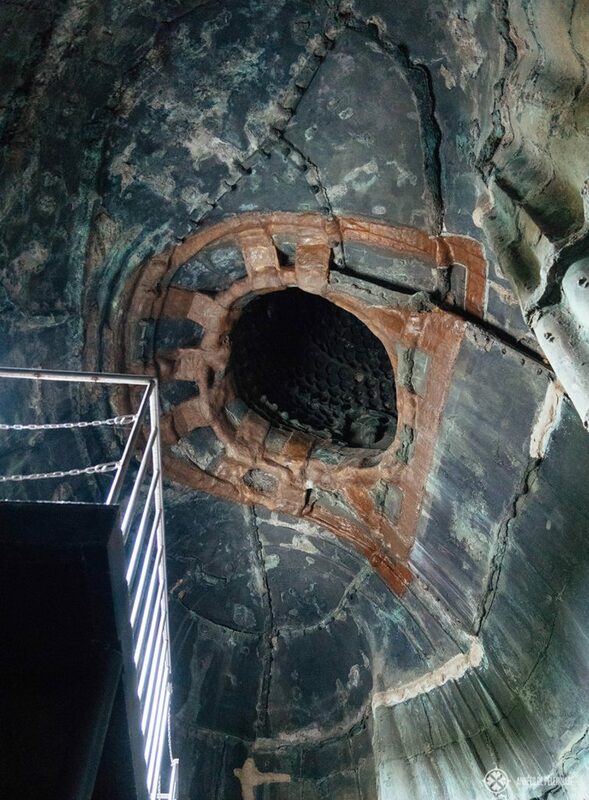 You can actually go inside the Daibutsu for an extra fee of some 20 yen. Don’t expect a great view through the eyes, though – but do go. There is probably a thousand years of graffiti to be seen and it allows you to understand the way it was constructed. Hōkoku-ji (報国寺) is also known by the name “Bamboo Temple”, which alludes to the bamboo grove on the temple grounds. Given the beautiful views from the tea house, it is little wonder this Zen temple of Rinzai sect is a popular tourist attraction in Kamakura. 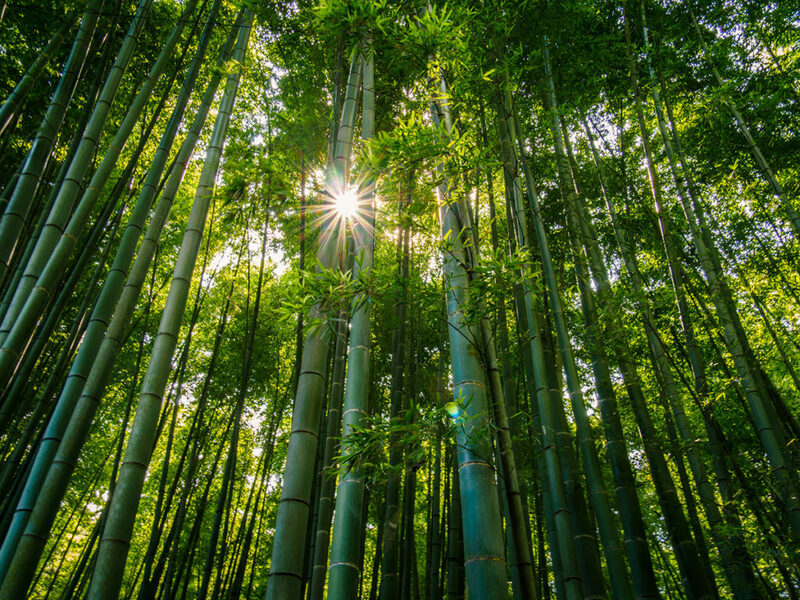 The Kamakura bamboo forest might not be as grand as the one in Aoyama in Tokyo (check it out on my list of things to do in Kyoto), but still one of the many must-sees in Kamakura. Enoshima is a sacred offshore island near Kamakura. The goddess of music and entertainment, Benzaiten, is enshrined on the island. 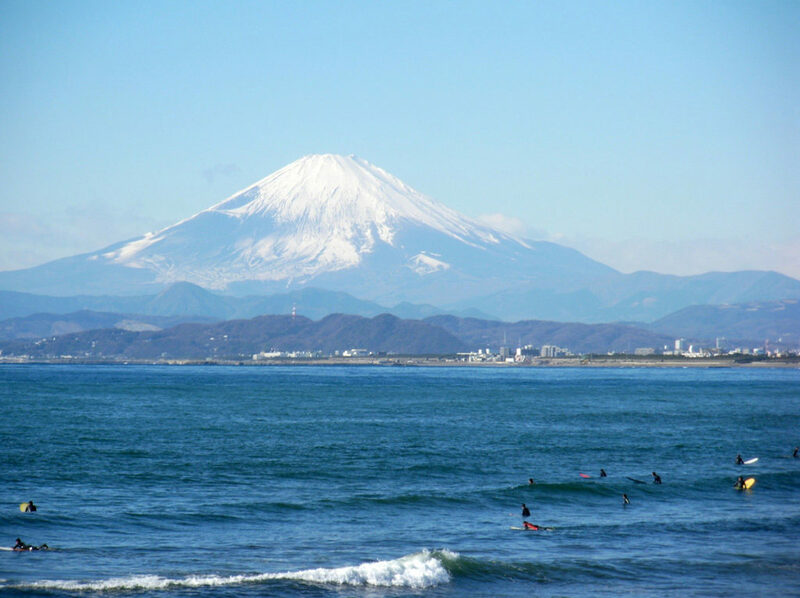 It also happens to be the closest beach to Tokyo, which makes it a very popular destination for the locals. There are a beautiful botanical garden and a viewing tower on the island (called Sea Candle). The whole affair is connected to the mainland via a small bridge of around 600 meters (2,000 ft). If you are wondering what to do in Kamakura, you definitely should consider a visit to this popular island. Please be aware that seeing all the temples and Enoshima could be a tight fit! 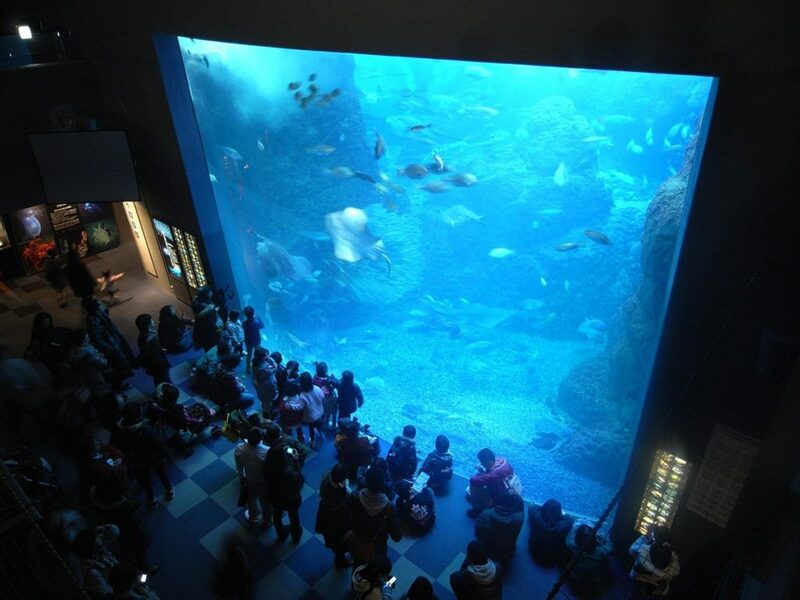 Unlike its name, Enoshima Aquarium is not located on the eponymous island itself, but close to the bridge. Still, it’s a beautiful place to visit near Kamakura – especially if you are traveling with kids. Enoshima Aquarium has a huge section dedicated to jellyfish, which will make it worth a visit no matter your age. While you are in the area of Kamakura, especially on Enoshima, you absolutely have to try Shirasu. Shirasu is the Japanese name for whitebait – especially sardines. 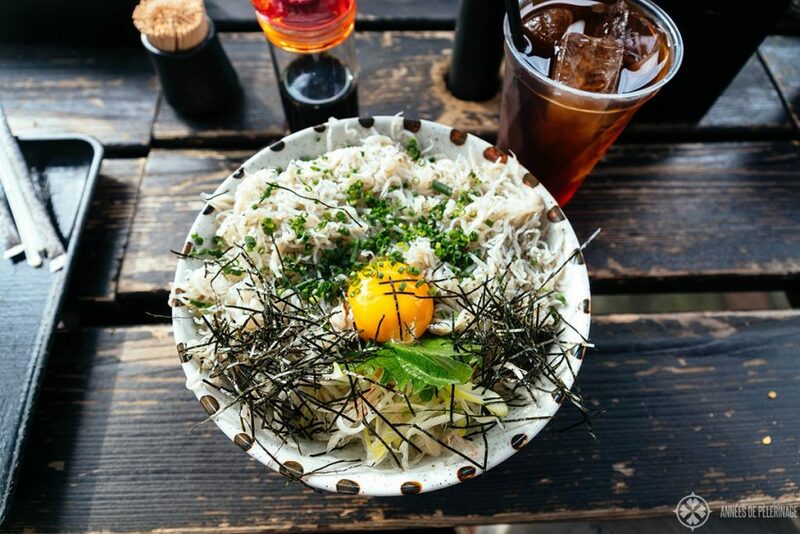 You can eat it raw or cooked, and it is typically served with an egg yolk on top of steam riced (called Shirasu-don). It’s incredibly tasty and you should definitely give it a try, as it is THE food associated with Kamakura. Tsurugaoka Hachimangū (鶴岡八幡宮) is Kamakura’s premier Shinto Shrine with a history of more than one thousand years. One could say, the town was built around the sprawling complex dedicated to e Emperor Ōjin, his mother Empress Jingu and his wife Hime-gami. The grounds are quite lovely with many little gardens and ponds. There is even a thousand-year-old Ginko tree that sadly fell victim to a storm in 2010 (but is now sprouting leaves again). Hase-dera or Hase-kannon (長谷観音) is my favorite place in Kamakura. 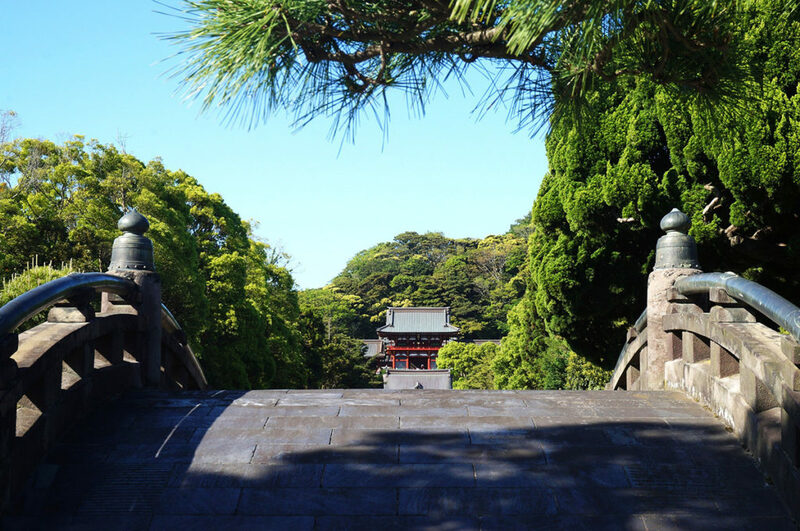 The Buddhist temple was built on a beautiful hill overlooking Kamakura and features beautiful gardens and even a museum. 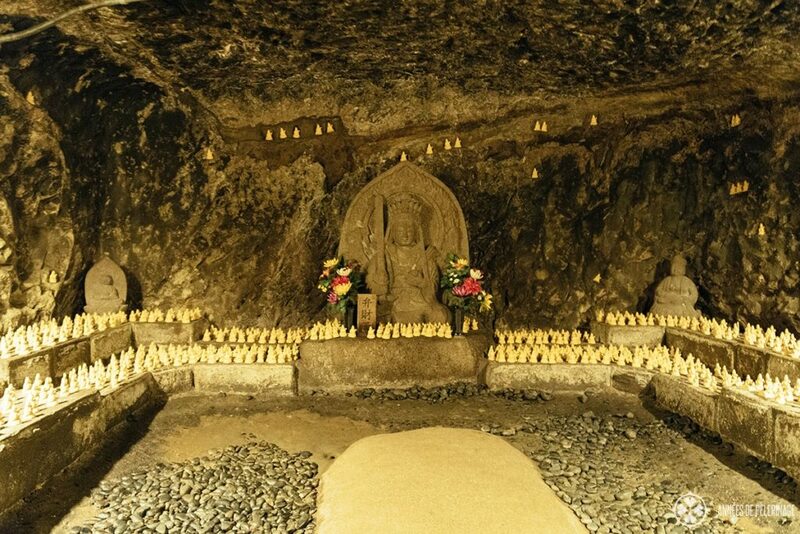 There are caves dedicated to goddess Benzaiten you absolutely should visit (but mind your head, they are quite narrow and low). 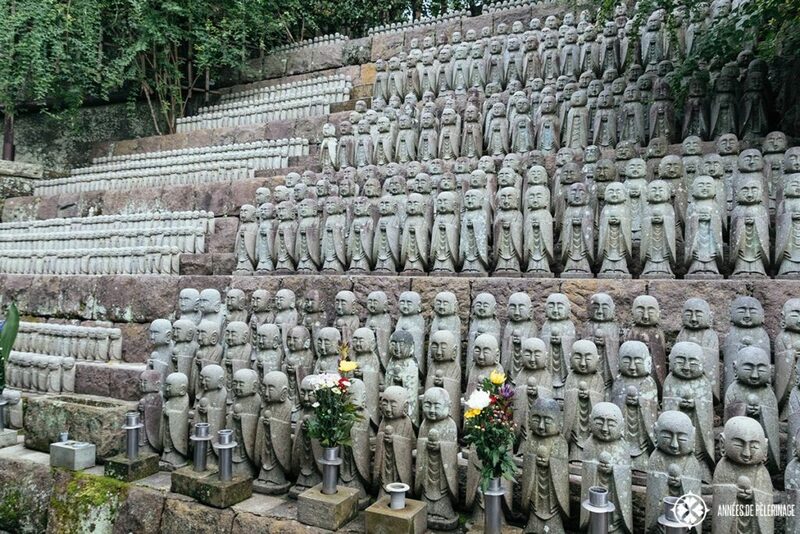 You will also be able to see a sheer endless mass of small Jizō statues. These were donated by parents to mourn offspring lost to miscarriage, stillbirth, or abortion. These statues are removed after a year to make room for new statues. Not the best thought to dwell on for too long, I have to admit. Despite its small size (and quite a long name *lol*) Zeniarai Benzaiten Ugafuku Shrine (銭洗弁財天宇賀福神社) is one of the top tourist attractions in Kamakura. 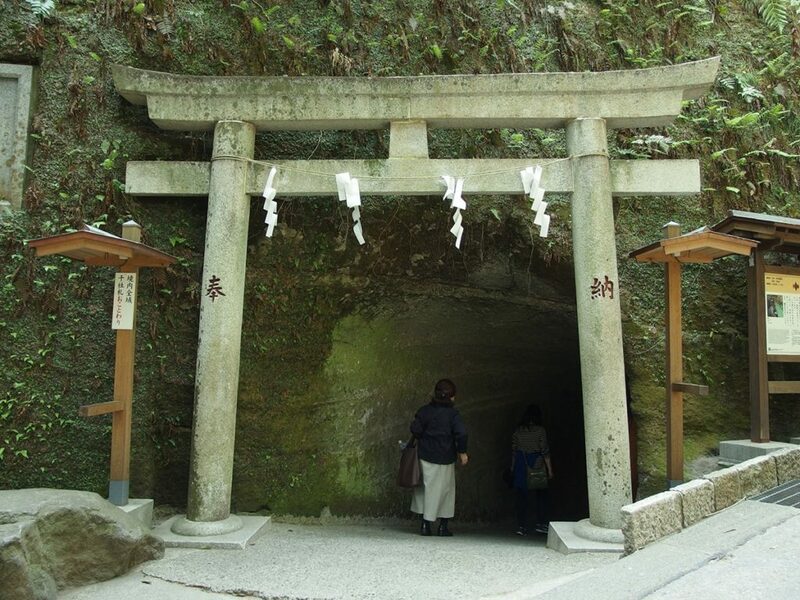 At the backside of Ugafuku shrine, you will find a little cave with a little spring. Money washed in the waters of this spring is said to multiply. Believe it or not, it’s a fun ritual to watch and partake. As the shrine is so highly unusual (being surrounded by rocks on all sides and entered through a tunnel) it is worth a visit anyway. Engaku-ji (円覚寺) is one of the most important Zen Buddhist temples in Japan and one of the temples proposed as a UNESCO World Heritage site in 2012 (the request was declined). 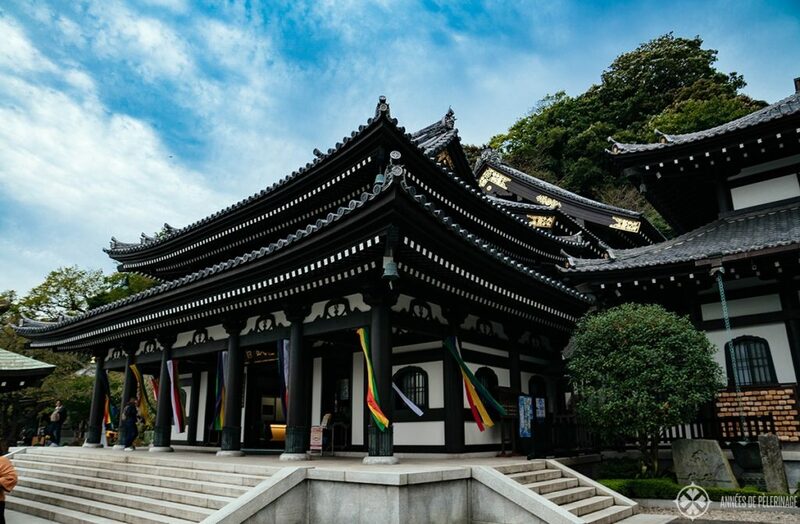 Still, this temple founded in 1282 should be on your list of things to do in Kamakura. If you want to go ultra spiritual, you could even join one of the open meditations sessions every morning. Shonan is the name of the beach area in front of Kamakura (actually stretching further than that). It is, like I already said, the closest beach to the metropolitan area of Tokyo and Yokohama. 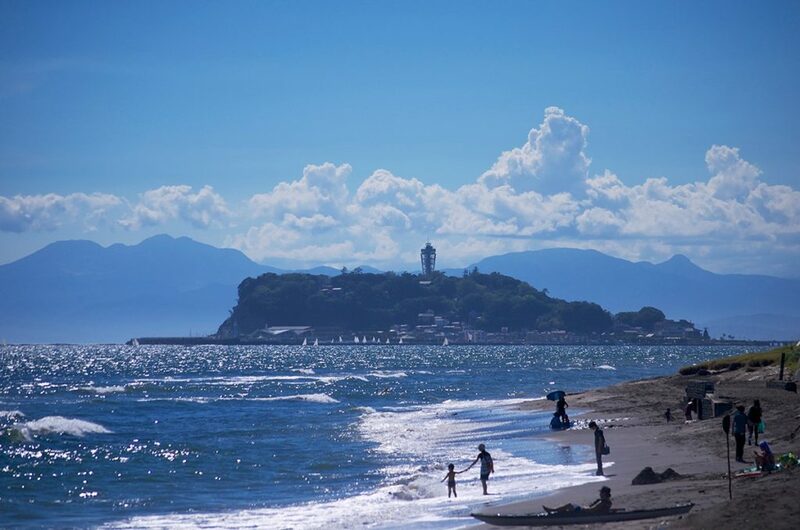 In summer, it can be quite a busy place, but nonetheless charming, with its view on Enoshima. Kamakura beach is also an excellent spot for surfing, so even in late October, you will see lots of locals trying to ride the waves. 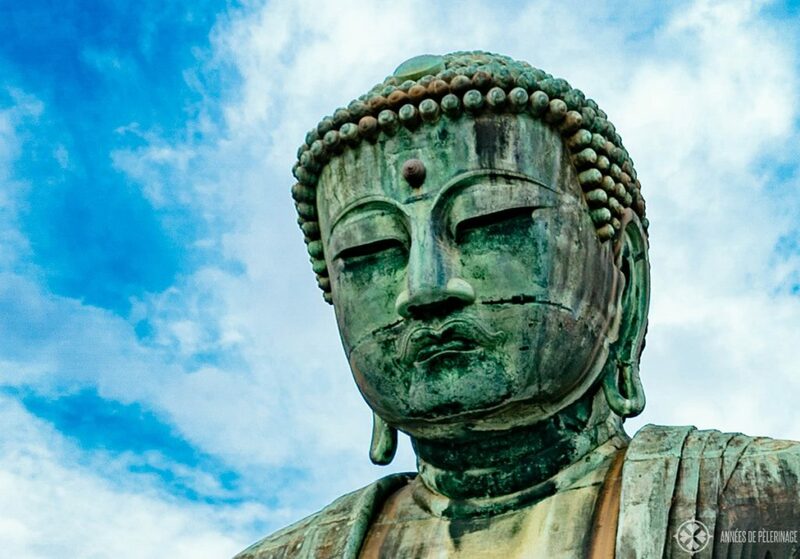 Now, you are probably wondering how to get to Kamakura from Tokyo and if a day trip is feasible. The short answer: It’s easily doable and the train only takes about 55 minutes (depending on where you start). You could also take the bus, a taxi or rent a car obviously, but as most tourists will probably hold a Japan Rail Pass, I do recommend taking the train. The easiest way to get from Tokyo to Kamakura is the JR Yokosuka Line. There’s a direct connection between Tokyo Station and Kamakura station. It also happens to be the fastest connection. Alternatively, you could also opt for the JR Shonan Shinjuku Line if Shinjuku Station is closer to your hotel. Be aware, though, that only the trains bound for Zushi will go directly to Kamakura. If you plan to get an Enoshima Kamakura Free Pass (as the local rail in Kamakura is not operated by JR), you could opt to take the Odakyu Railways for your day trip from Tokyo. This option is probably the cheapest (except you got a JR Pass) but will also take considerably longer (90min opposed to roughly 55 minutes). There is a local train connecting most of the highlights along the coast. Yet, visiting Kamakura without walking (quite a lot) will be impossible. If you are visiting on a day trip, I’d actually recommend skipping some of the temples and concentrate on a selected few highlights. Why? Most Japan itineraries include a trip to the Kyoto/Nara region where tons of UNESCO World Heritage temples can be seen; check out my guide. 9:00 am: Arrival in Kamakura -> head over to the local Enoshima Electric Railway line (same building), buy a ticket and get out at Hase station (~5 min). 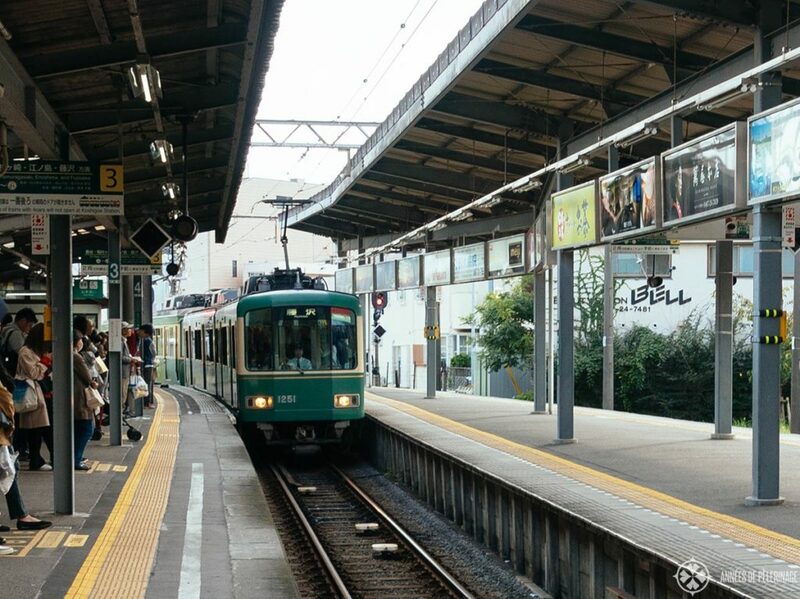 6:00 pm: Take the local train back to Kamakura Station and onwards to Tokyo station. 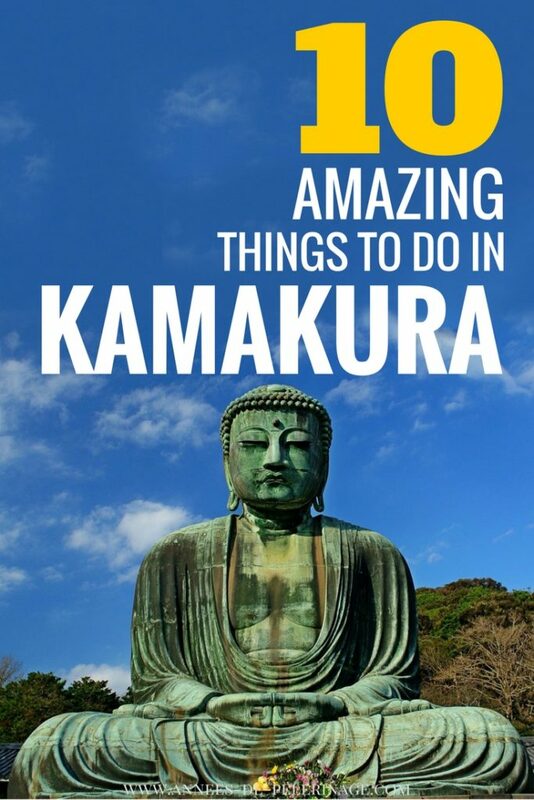 So, this was my list of the 10 best things to do in Kamakura. Got any question? Send me a message in the comments below. And don’t forget to pin this to your Pinterest board if you liked it! Very helpful post and great suggestions. I’ve never been to Kamakura before so I will definitely use your suggestions when I visit. The view from Kamakura Beach looks so nice as does the Bamboo forest. Thanks for sharing. Well written and helpful. Very concise and clear explanation for something one could write in 5X the words, though many guidebooks don’t explain with enough words. Thanks for the tip on Kamakura’s specialty dish, shirasu-don! Will be tough to not eat the grilled shellfish as one enters Enoshima though! We’ve visited Kamakura probably 15 times, but have not been to Japan for 10 years. Heading there in a week with our kids (first time for them to visit their birthplace…, since that event!). Your guide is perfect for us. Is it possible on the way back to Tokyo to stop at Yokohama to go to the cup a noodle museum? Well, in theory, yes you could! just start out early and maybe skip a temple or two in Kamakura. As it is, you won’t be able to do all the things mentioned here in one day.